I offer a trustworthy and reliable proofreading and editing service. As a qualified proofreader and experienced writer and editor, I have a precision eye for spelling, grammar, punctuation and the flow of words, which makes me the perfect proofreading expert for your document, novel, CV, bio, article, website content, product description or any other piece of copy that you wish to be thoroughly checked and edited. Your ideas should be noticed – not your errors! Yes you can use your standard spellchecker but that is a very limited way to ensure your work is error free and so should not be relied upon. 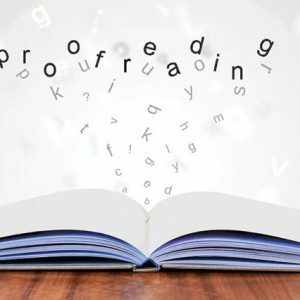 As an experienced proofreader I will personally check not only spelling and grammar but the clarity and consistency of your words whilst helping you avoid repetition. As an editing expert I will also search for technical errors and eliminate them whilst enhancing the quality of every document I review. I will proofread and edit your text, to ensure your finished product is grammatically perfect, error-free, reader-friendly and importantly I’ll ensure your original words don’t lose their original personal voice. I will also provide you with feedback and suggestions. I will deliver your work using MS Word ‘Tracked Changes’ so that you can see exactly where I have made edits. Above all, I guarantee that following my input, your words will be flawless! If your document is larger than 5000 words or you have specific requirements, please contact me for a chat and quotation.